The concept for Epidemic was born a couple months ago, after Anemone got news that she would be able to work in her field this summer. (Fun Fact: her field is epidemiology, and since the vest was designed for her, it also got named for her new job!) I knew that she loved sweater vests, so I asked her if I could make one for her, and she not only accepted, but she gave me free reign over the entire design. I've been intrigued by the idea of framing waist shaping with cables for an hourglass effect for several months, so that was the first thing I put on the list. I also knew that I wanted to name it Epidemic, so I wanted a design feature that I felt hearkened to microbes and/or diseases. I love knitting lace, and I didn't want a totally solid vest since it was intended to be appropriate for summer. I came up with a simple lace pattern that I thought would be super fun, and once it was knit up I thought it looked a lot like little microbes or something. So I had the cables, and the lace. I decided that Knit Picks Comfy Worsted would probably be the best yarn for our purposes, and told Anemone to pick a color. 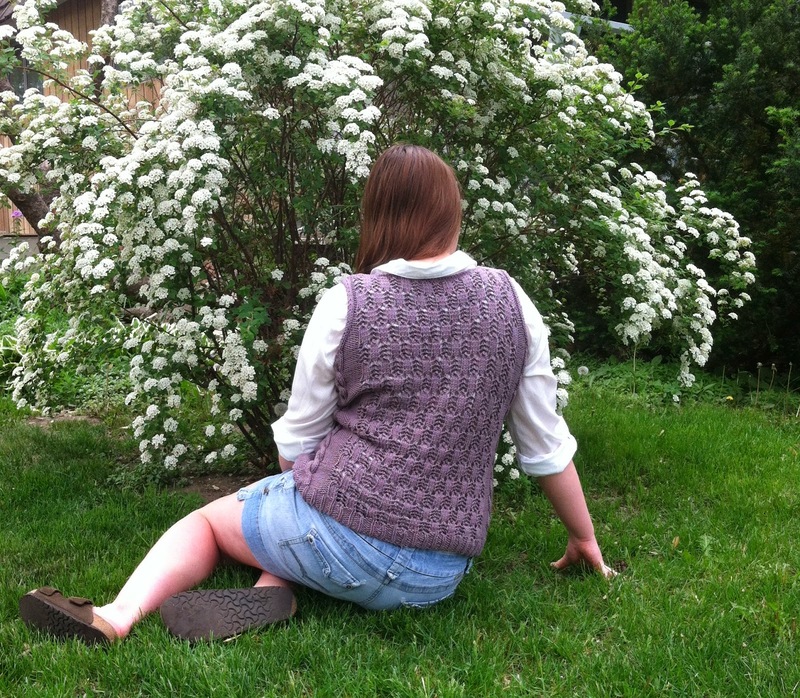 I had a lot of fun working on this vest, and I'm really pleased with the end result.